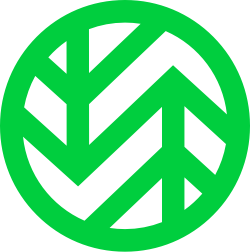 Cloud Storage Support | Data Storage Help | Wasabi Technologies, Inc. Learn how to get started with the most affordable, durable, and quick hot cloud storage solution in the market. Check out our support options here. With a link to this topic and they might be able to identify the issue. Thank you for the explanation. It helps to understand the advantage of having versioning enabled. This could be an issue on either side, right? Thank you. Good idea, I will do that and report back if anything useful comes back. While I wait for Wasabi support to respond, can I make a viable case if I enable versioning and delete the locks file after every operation so I can perform further backups etc.? While not optimal, will this give the security features that @cdhowie described or would the locks deletion each time impair to roll back previous versions of the objects should I need to? Personally I would suspend versioning until you get an answer rather than go through that hassle. You are using Linux and as far as I know there are no proven ransomware attacks, so the risk is minimal. Thank you for your advice! Appreciated. I have been in contact with Wasabi support in the last days. There is a problem apparently. I’ve have been able to replicate the problem. Please await my response. Need to dig deeper. We were able to find out what the problem is. When these clients such as restic or rclone , ask to list the objects, they are getting versioned files along with the normal files, so if you have deleted a file, it still thinks as if it never deleted it. We’ll soon fix this. I will update this thread when I get more information from Wasabi. Good to hear. When I took up the free trial I was impressed with getting real responses to information I supplied. Interesting. I bet S3 had (has?) exactly the same problem. It would be great if someone using S3 could comment. I am surprised, if this is a broader problem, that it does not seem to be a more frequent topic on forums. At least I have not seen it in my searches. [Monitoring] We believe that the problem has been isolated and mitigated and service should be functioning at this time at slightly degraded levels. We continue to monitor the service and will provide another update on Saturday evening. We are in the process of correcting these problems and we have been able to restore partial service. Thank you for your patience. I’m trying to download a file from Wasabi and it constantly stops abruptly after exactly 6 MB. @jbrepogmailcom I’m not sure what you’re trying to tell us here. Can you elaborate? What are you trying to do? You can get help by calling restic unlock --help, which will tell you the correct names of all the flags.